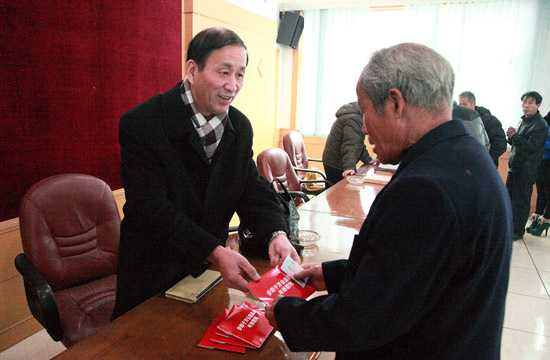 January 11, 2012, ten million public funds and positive step Yongkang Daily verified screened, selected as one of the 200 households targeted for in Yongkang Daily conference room payment assistance funds, for a total amount of 20 million. 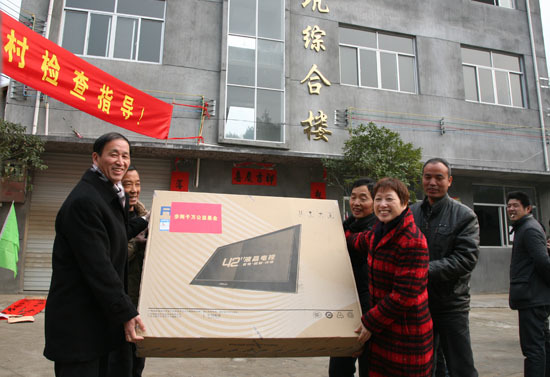 Since the end of the year Zhukun activity starts, has been widespread concern in the community, has been the strong support of the general public and various village organizations, this event help 200 families, the amount of 1000 yuan per household help. In order to maximize the effect of public funds, the Fund has been helping the end of last year over the hardship, the inclusion of objects guaranteeing that families of government, or have recently received formal charity or organization helping the object is not included in this scope of relief . So step Yang public funds screen out 200 rescue families from hardship during registration. 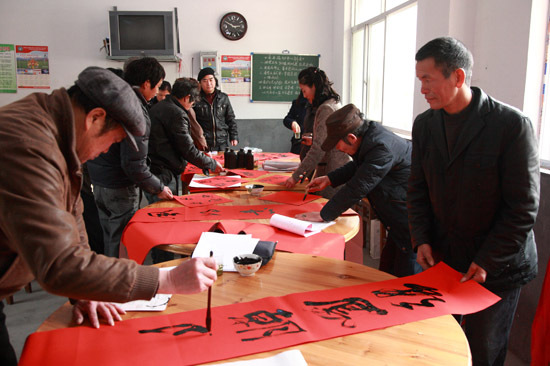 Positive steps this year also sent millions of public funds for poor village a culture of helping the rural mountain village set up a library, giving 42-inch color TV, and requested the villagers live in our city calligrapher ink brush writing couplets.